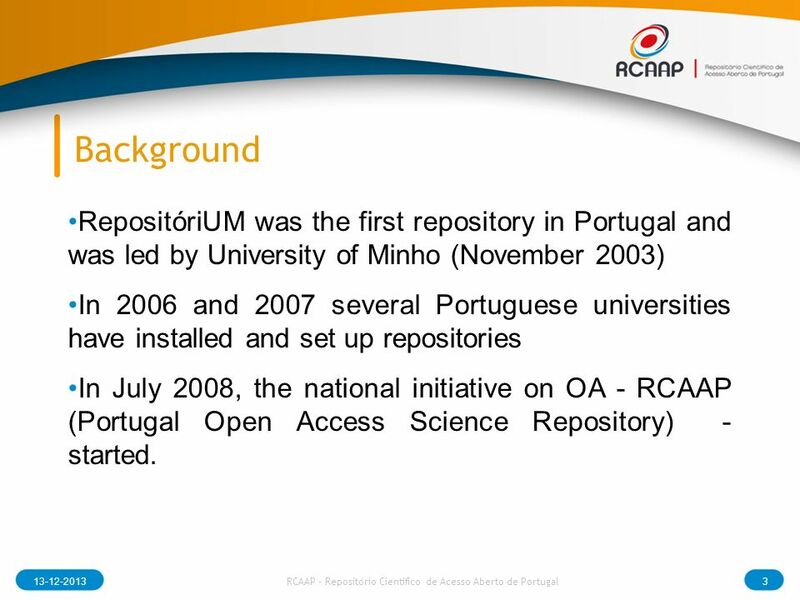 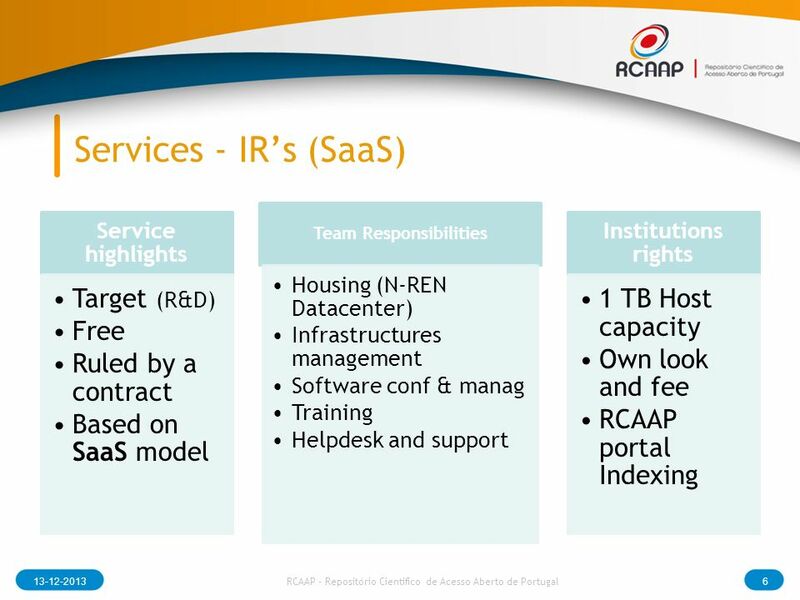 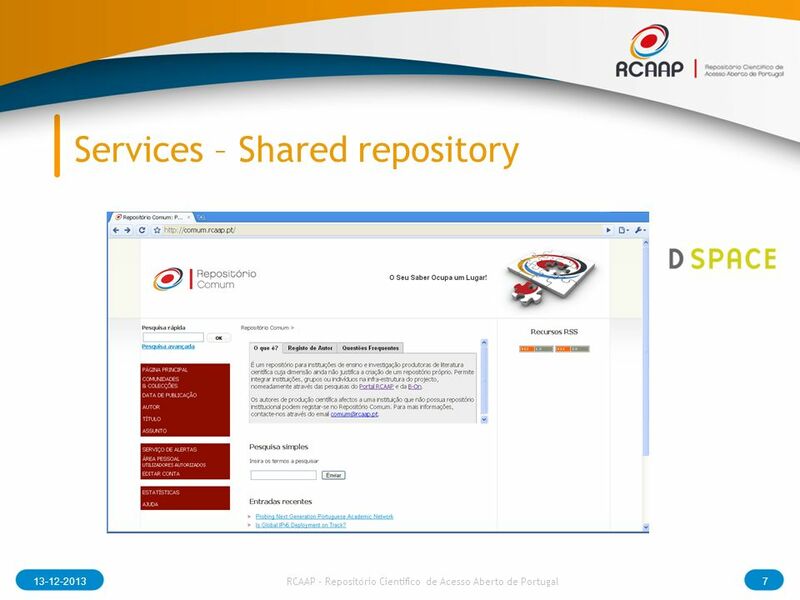 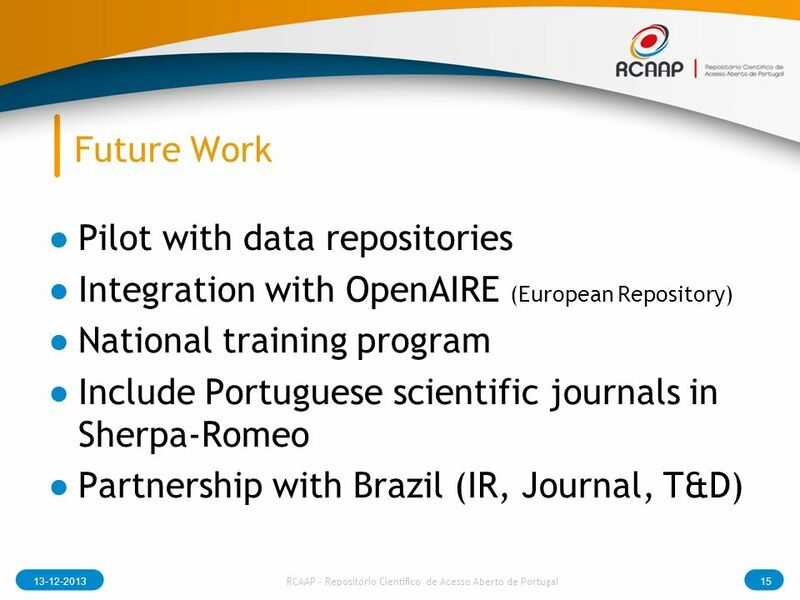 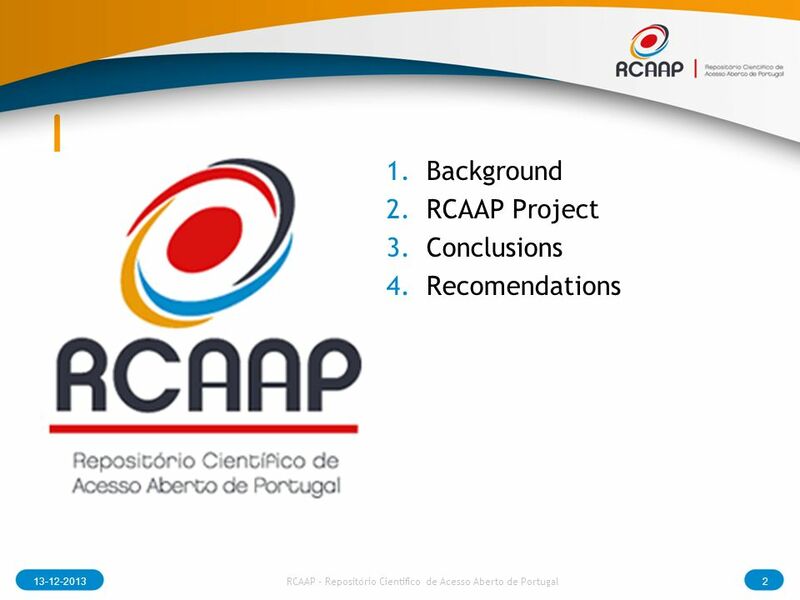 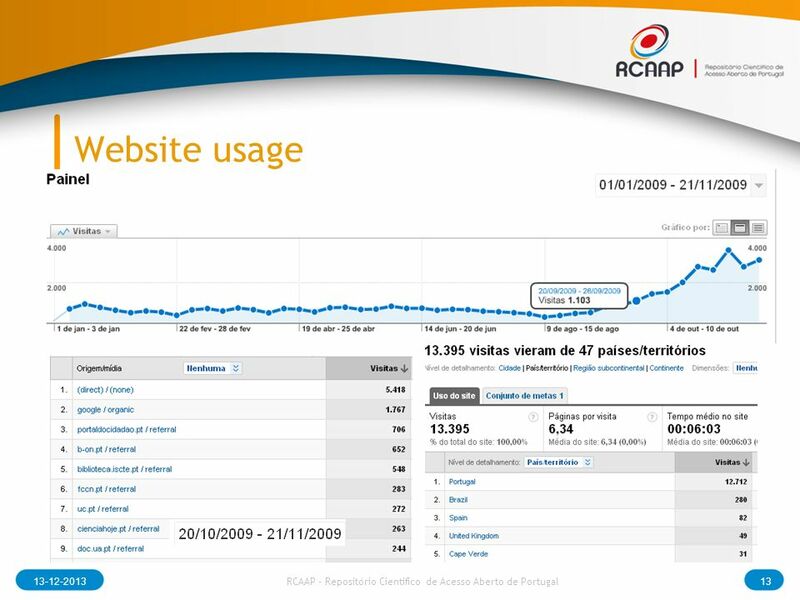 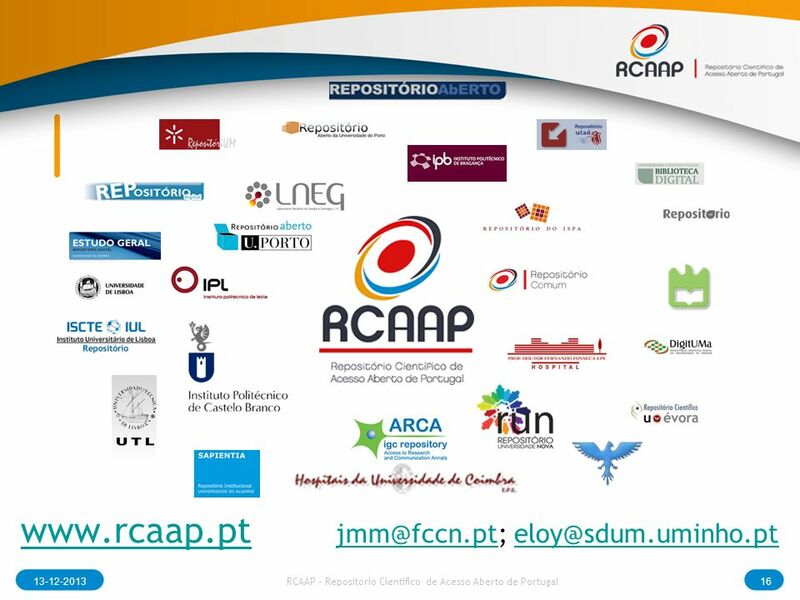 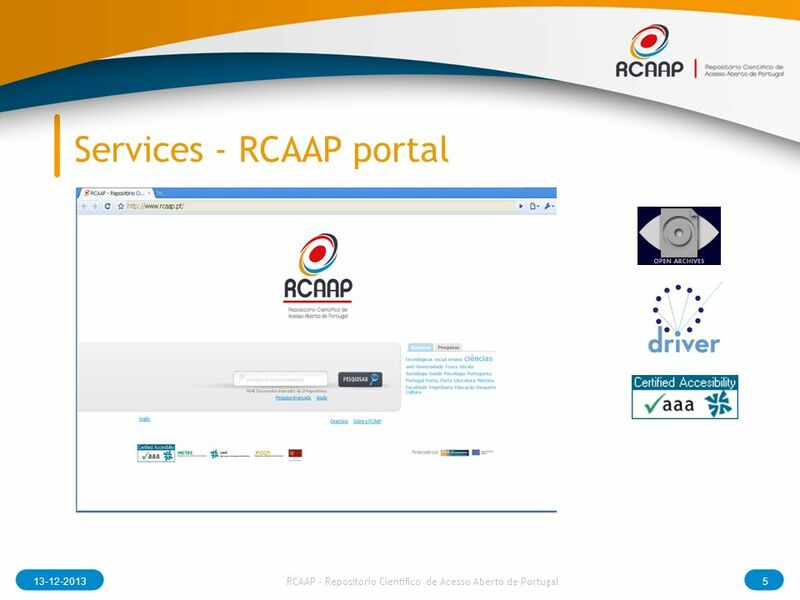 3 Background 13-12-20133 RCAAP - Repositório Cientifico de Acesso Aberto de Portugal RepositóriUM was the first repository in Portugal and was led by University of Minho (November 2003) In 2006 and 2007 several Portuguese universities have installed and set up repositories In July 2008, the national initiative on OA - RCAAP (Portugal Open Access Science Repository) - started. 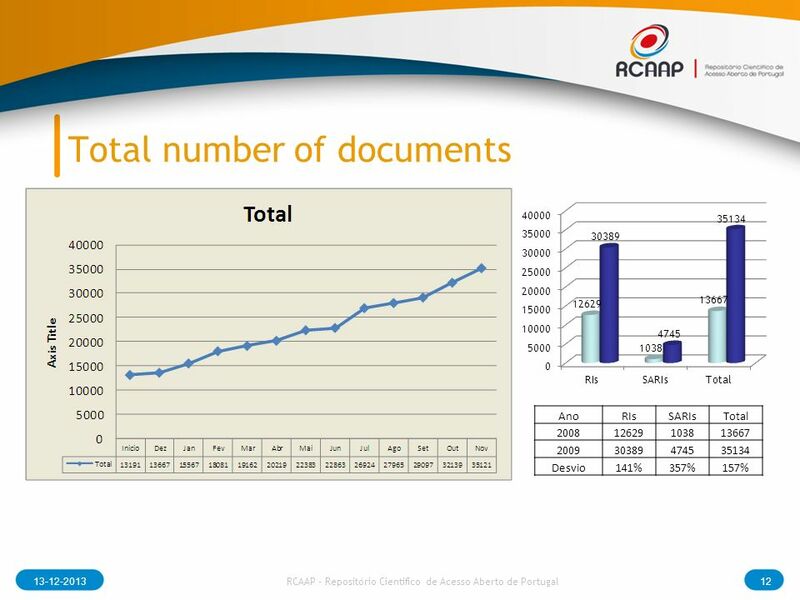 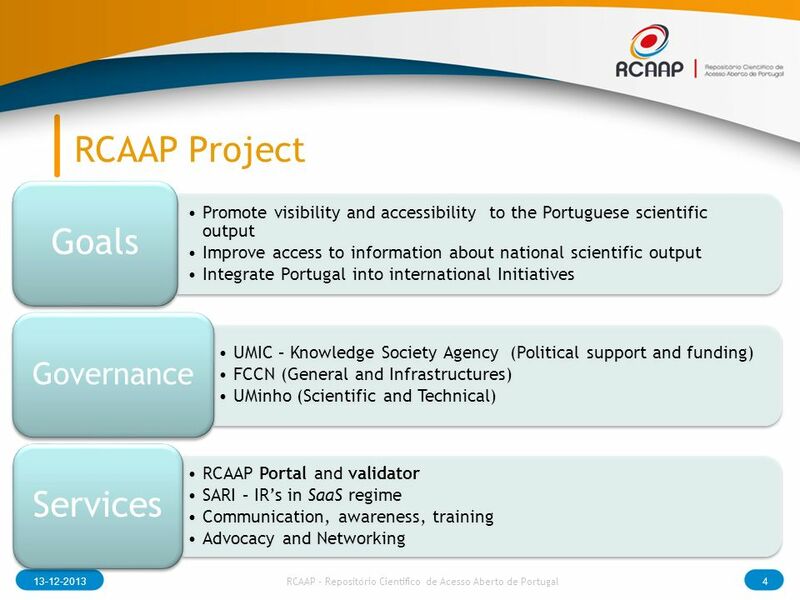 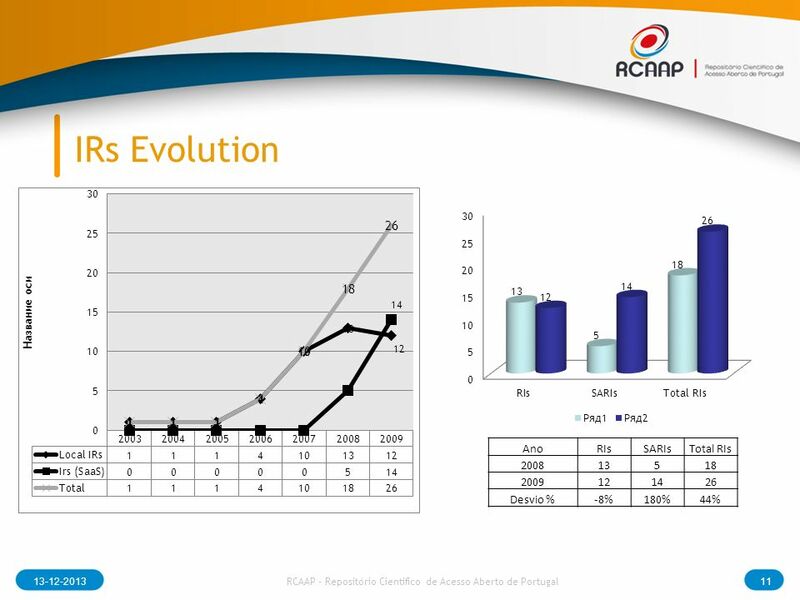 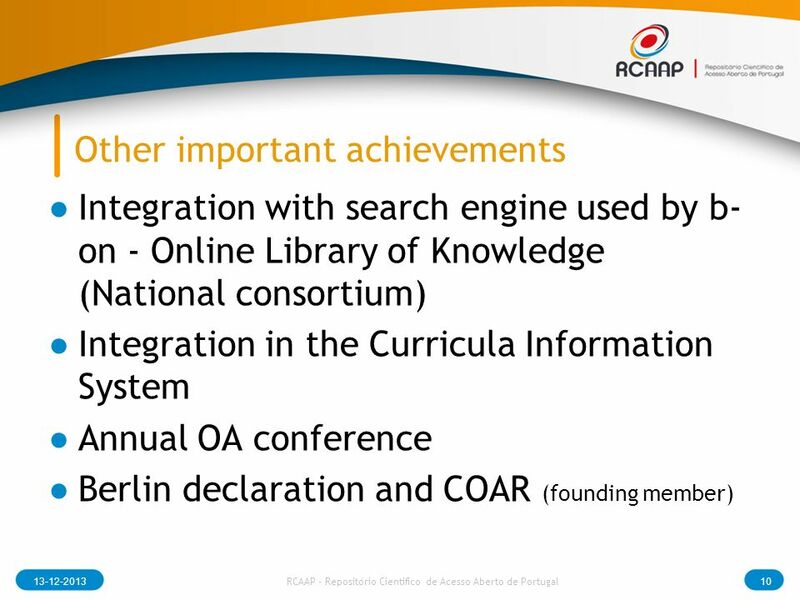 14 13-12-201314 RCAAP - Repositório Cientifico de Acesso Aberto de Portugal Conclusions Significant progress on the last years in special since 2008 with the RCAAP project The governance model, the service model and the efforts in training, communication, dissemination and advocacy appear to be success critical factors In general, the percentage of the institutional research output archived is still relatively small (less than 10%). 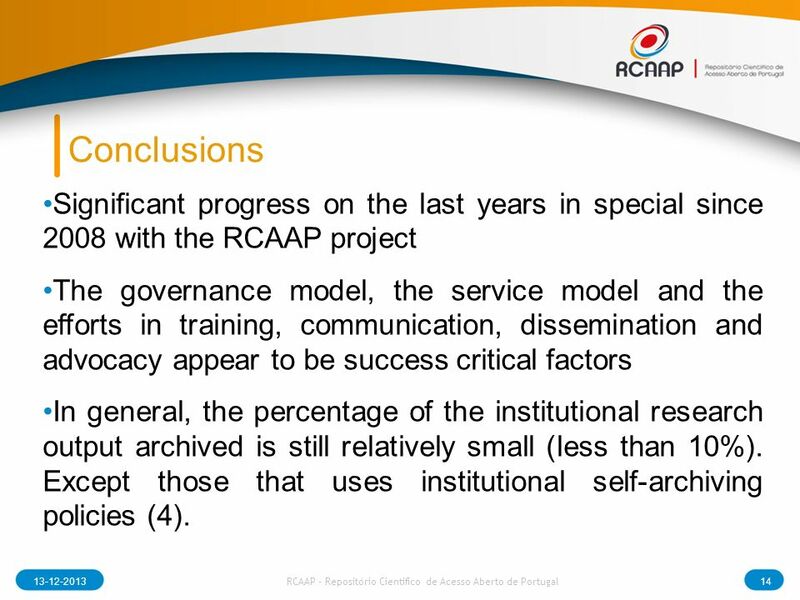 Except those that uses institutional self-archiving policies (4). 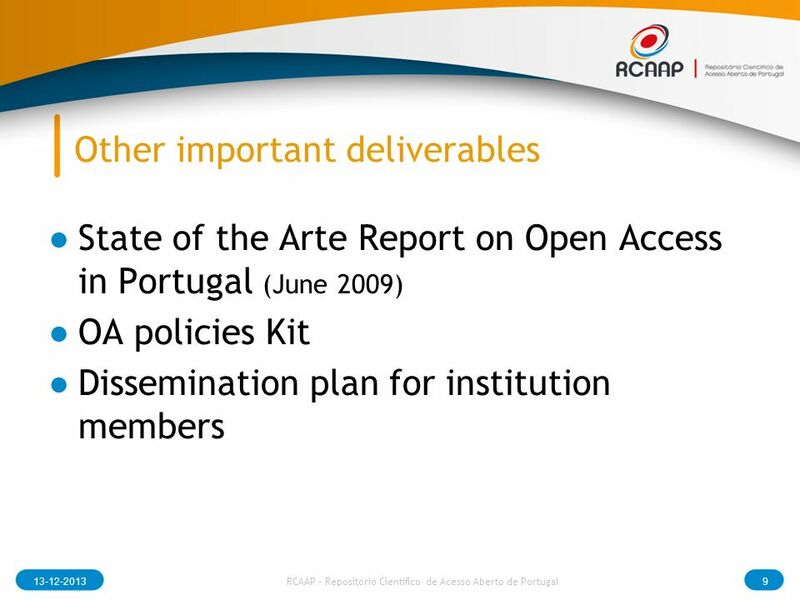 Carregar ppt "RCAAP Project João Mendes Moreira, FCCN Berlin 7, Paris, 04/12/2009." 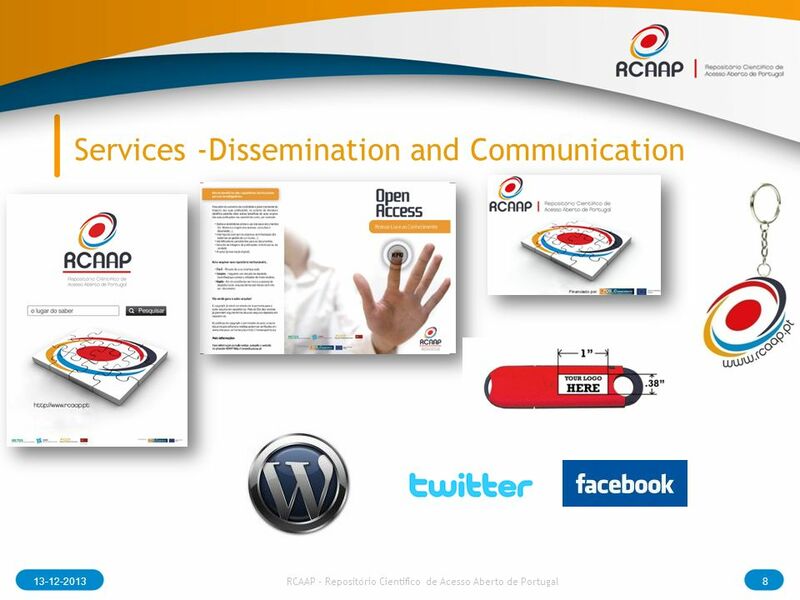 PROJECTO BLIMUNDA Ana Alves Pereira DDBFCT/NOVA NECOBELAC | CURSO DE FORMAÇÃO DE FORMADORES JUN 2011 | UMinho - Braga.